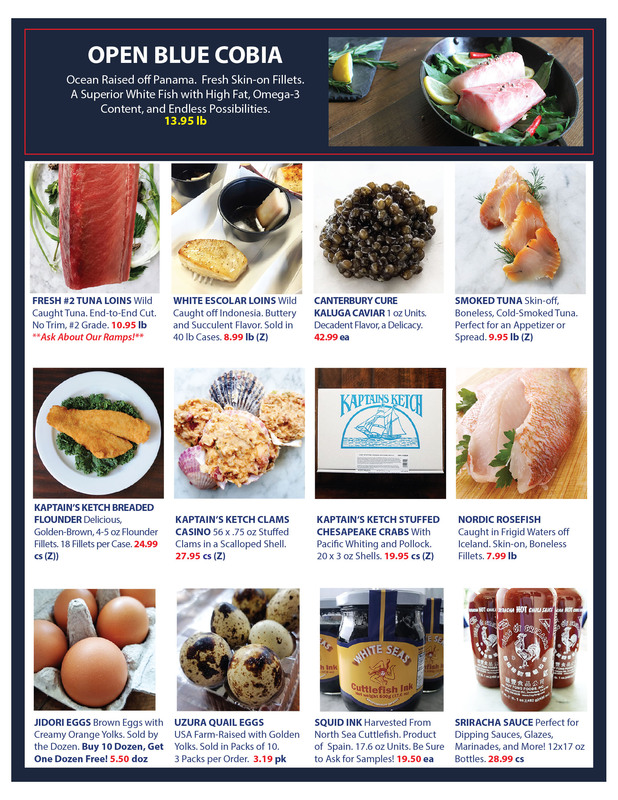 Check out our monthly specials, you never know what you might find. Every month we feature fresh and frozen seafood, as well as other items to round out your menu. From appetizers to entrees to condiments, we tried to think of everything. Contact your sales representative to place an order. 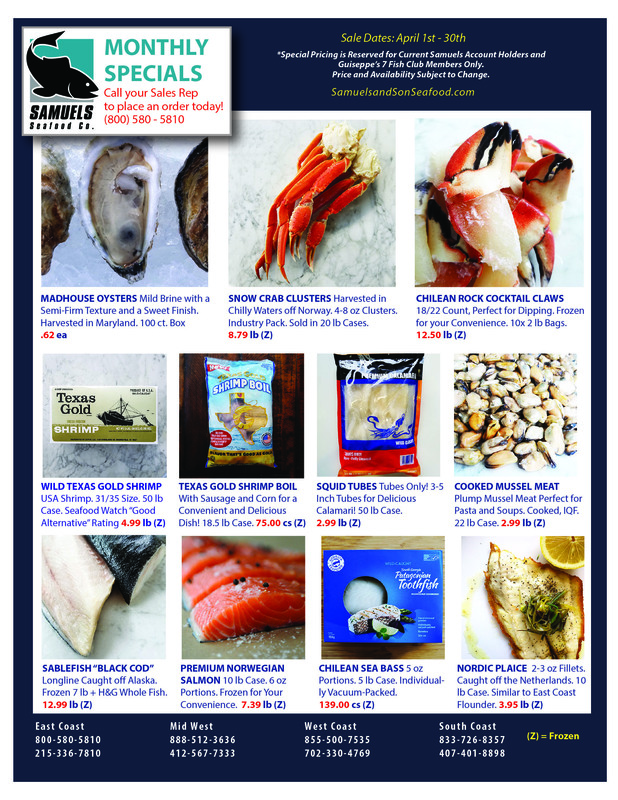 *Special Pricing is Reserved for Current Samuels Account Holders and Guiseppe’s 7 Fish Club Members Only.